Because you're about to get, like, $33 from your Grandmas/Godmoms/cheap aunts who only give $3, our bros at Timbuk2 are hooking one of our reader-bros up with a new place to put all your dough. Just tweet THIS and we'll hook someone up with a Mission Cycling Wallet: an all-in-one waterproof solution for keeping your cards, money, and phone (now in two sizes, one for iPhone5s'... and another for not-iPhones) in one spot with a clear front/camera lens cutout so you'll never miss a chance for a #selfie! 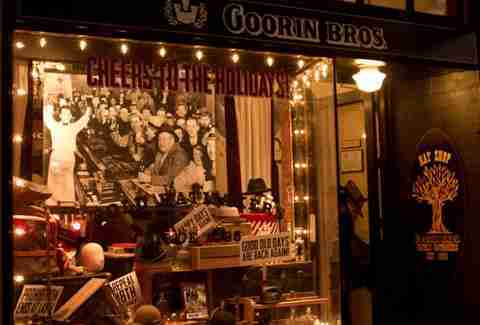 Thursday, December 12th: Starting today and happening through Saturday, everyone's favorite fancy-hattery, Goorin Bros., is getting its sample sale on. Provided you don't have a giant head, you can purchase their normally expensive wares for super cheap. Check the deets here. 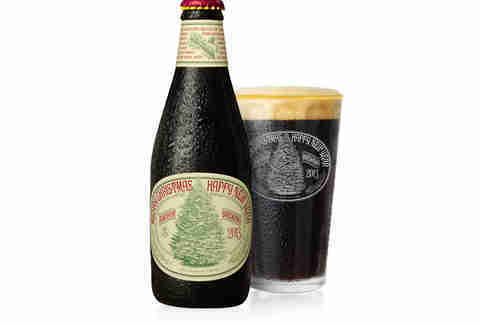 Friday, December 13th: Anchor Steam just released this year's Christmas Ale, so if you want to impress friends with an extremely local, extremely TOP SECRET ingredient'ed holiday beer, make sure to pick one up around here (PS -- these brews come in magnums, too). 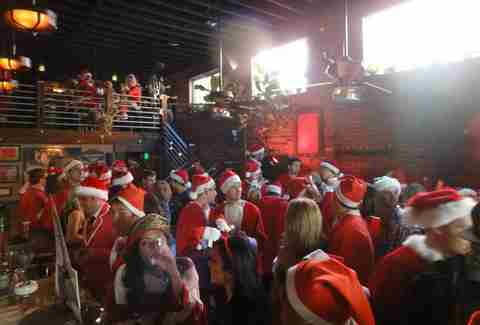 Saturday, December 14th: SantaCon is upon us. Look upon its works, ye San Franciscans, and cower in fear. Or check out this handy guide for everything that's going to happen so you can either participate or angrily not participate. 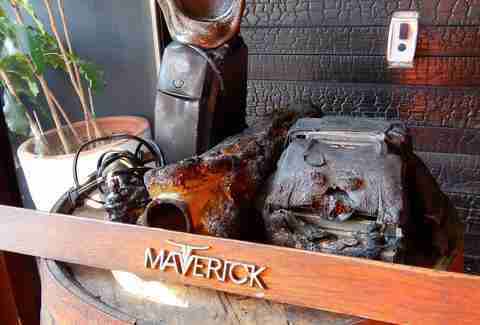 Saturday, December 14th & Sunday, December 15th: Even though Maverick may have gone up in flames (see photo evidence), Hi-Lo is hosting a pop-up brunch to deliciously benefit the neighbors displaced by said fire, with Maverick faves like their fried chicken with biscuits and gravy and the bountiful "lumberjack" (pancakes, sunny-side-up egg, bacon, Maverick breakfast sausage). 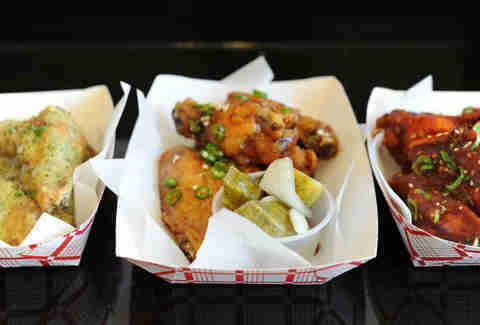 Saturday, December 14th: The Second Annual Wing Wings Chicken-Wing Eating Competition is taking place at El Rio and, for a $5 donation, you'll get drink specials, "hella food", and the opportunity to watch people gorge themselves on wings. 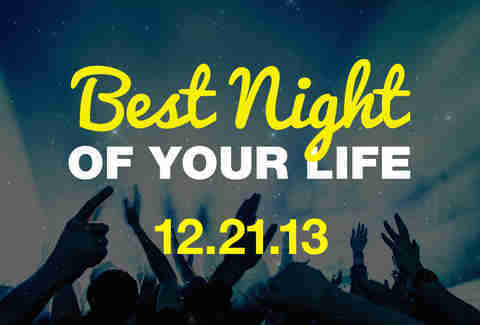 Saturday, December 21st: It's guaranteed to be the longest night of the year, but it's also going to be the Best Night of Your Life -- provided you spend it taking in all the best Thrillist-approved madness around town, from happy hours, to craft cocktails, to late-night face-stuffing. What could possibly be better? How about winning $1000 to spend on all of that? Build your itinerary now, and it just might happen.